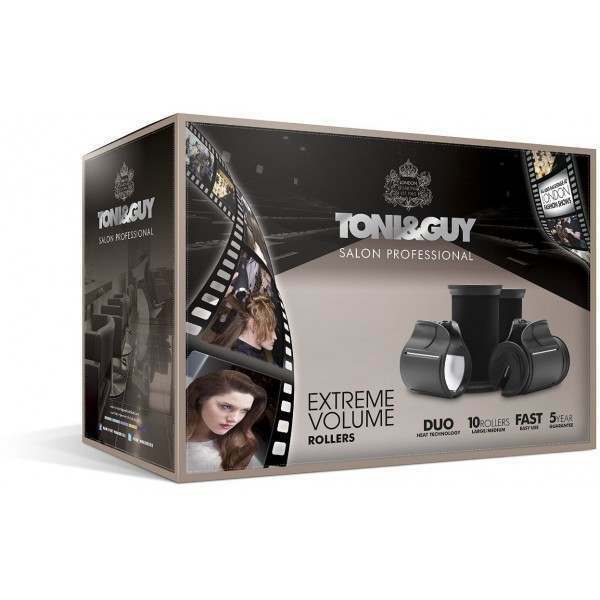 The unique Duo Heat Technology featured in the TONI&GUY Professional Extreme Volume Rollers ensures the rollers provide voluptuous volume for glamorous hair. Soft flocked barrels protect your hair, whilst the option to customise your set with additional barrels means you can create the look you want. Various sized barrels are suitable for all hair types. 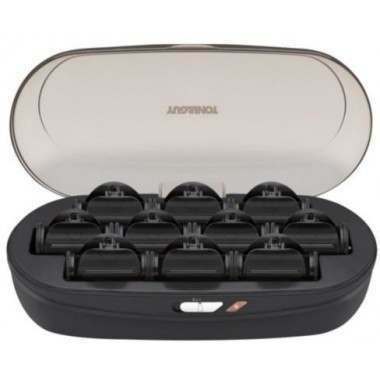 The flocked rollers and heated butterfly clips ensure your hair is fully protected whilst curling for ultimate high shine and conditioned hair. Featuring as part of the Salon Professional Collection, "the unique duo heat technology ensures these rollers are all about big volume, with the added option to tailor your set with extra rollers. So now you can create the look with this professional roller set. Designed to protect your hair colour with the soft flocked barrels, the innovative duo heat performance heats and styles from the core & locks the style from the outside. This extreme volume roller set heats up in less than 2minutes. 1. If the roller does not feel secure, this may be because you have too much or too little hair wrapped around the roller. Simply adjust the section of hair and re-roll the hair to secure it. 2. If you have medium-thicker hair, take a small section of hair that is no wider than the roller itself to ensure the hair is not too heavy for the roller. The larger rollers are more suited to thicker/longer hair. 3. If you have thin hair, take a standard section of hair - again, no wider than the roller itself - and wrap this around the roller. The medium-sized rollers are suitable for thin hair types. If you have thin, but fairly long hair, you may need to consider a larger roller.